To say that The Council has a lot of coins to collect would be an understatement. 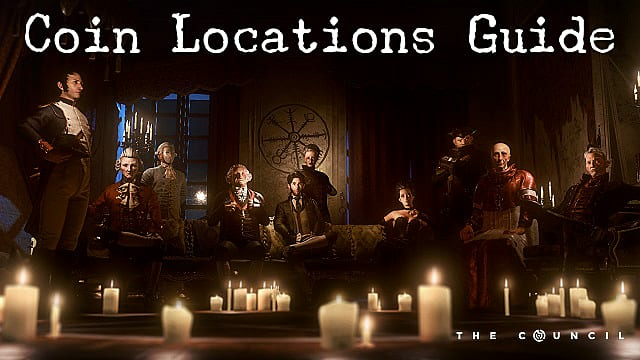 The game's first episode has at least 23 to find across its four chapters. 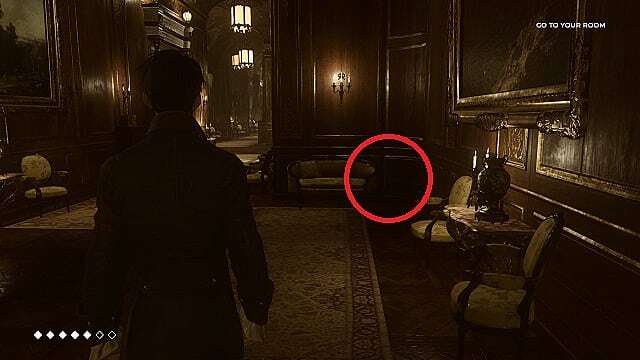 Some are right out in the open and easy to find, while others are hidden in obtuse locations throughout Lord Mortimer's mansion. Unlike Amber Fragments, which give you one Effort Point for every four you collect, coins don't have any specific value in The Council. However, it's a well-known fact that we all have a collector living somewhere inside us -- and the game knows that. So when you inevitably start looking for coins, keep an eye out for small, shimmering objects on tables, floors, chairs, and couches. 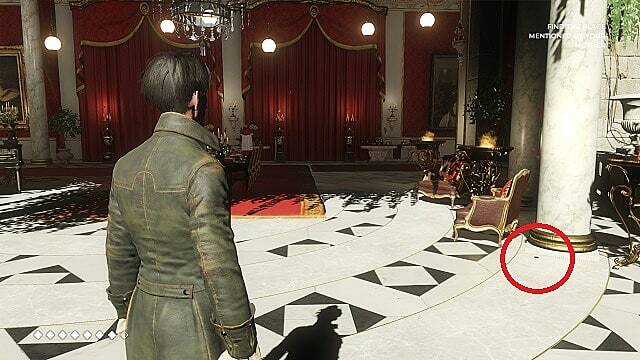 When exploring the world of The Council, it pays to be meticulous since coins are hidden everywhere. 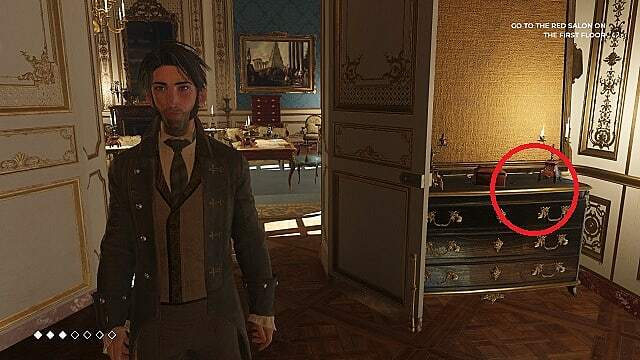 But if you'd rather not spend hours looking for collectibles as you go throughout the mansion -- or just can't seem to find a coin despite having turned over every stone -- this guide will help you find them all. Let's dive in and start collecting. 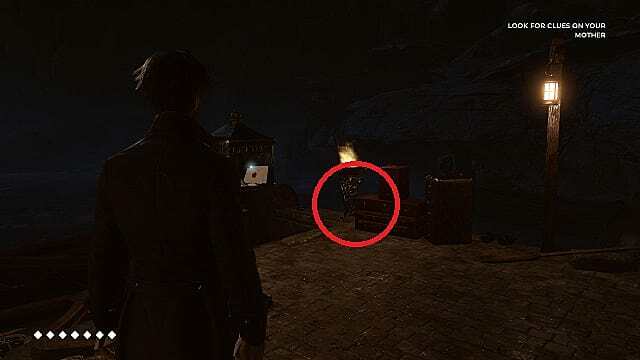 You can find the first coin of the game when you go to the mailbox when searching for clues about your mother at the wharf. With the mailbox to your left, look at the luggage in front of you. The first coin of the game can be found between it and the torch. After going upstairs for the first time, everyone disperses to their rooms for the night. When you're finally alone in the vestibule, turn right and head past Emily's room. Quickly afterward, you'll turn left as you go into the hall that leads to your room. But before you continue, stop and grab the second coin off the table against the left-hand wall. Continue down the hall to your room. When you get there, turn your back to the door and look directly across the hall at the window. Coin 3 is on the ground behind the curtain. Don't go in your room yet. Instead, keep going down the hall toward Piaggi's room. Pass his door and turn around. 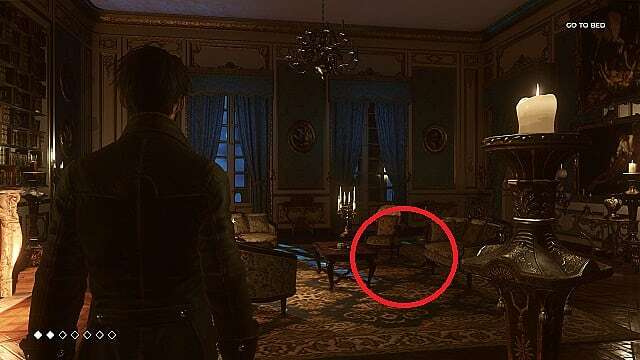 In the right-hand corner, you'll see a couch. Next to the couch, on the floor, you'll find your third coin. Further down the hall, you'll round a corner and Washington's room will be straight in front of you. However, you'll want to look behind you to find the next coin. It will be along the back wall between a chair and a column. Pass Washington's room and go into the next big open room. There will be four couches along the right wall. The coin is on the first couch -- the one closest to you. Go through the large open room (where you found Coin 6) and venture to the end of the room. Once there, turn left. You'll see a table on the left wall with a painting hanging over it. Coin 7 is on the table. Continuing around, you'll come into another open space down the hall (there will be stairs leading down on your right). Walk ahead but stop before you enter the next narrow section of the hall. Look right. Coin 8 will be near the couch in the alcove. If you've reached von Wollner's room, you've gone too far. Eventually, you'll end up where you started. However, just as you exit the hall into the vestibule in front of Emily's room, look right into the alcove. 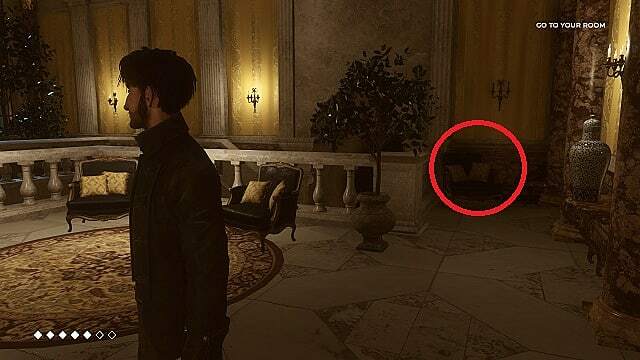 The eighth coin will be on the couch there. Ok. Now you can finally enter your room. Once you do so, you'll find the next coin to the right of the table in front of you -- between the couch and the chair. Go into the bedroom. 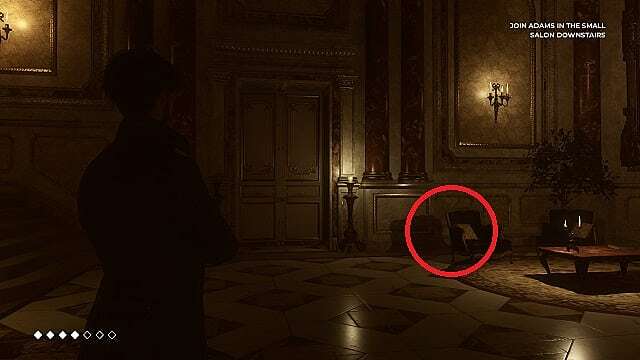 As you enter, you'll be forced into a cutscene, but don't worry: you'll still be able to grab this coin once it's over. 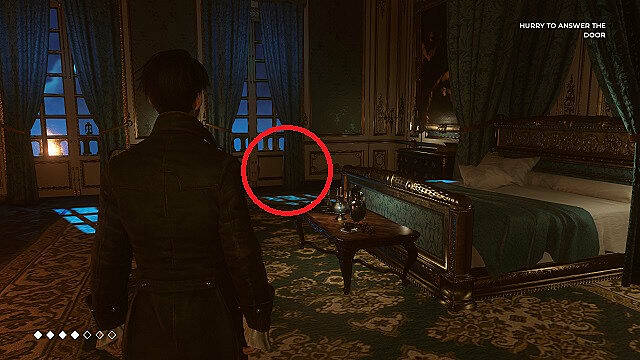 When you regain control of Louis, look at the french doors across from the bed. Behind the curtain on the right side, you'll find your tenth coin. Note: I grabbed this coin at the beginning of Episode One's second chapter -- after you're allowed to go back downstairs into the main hall. 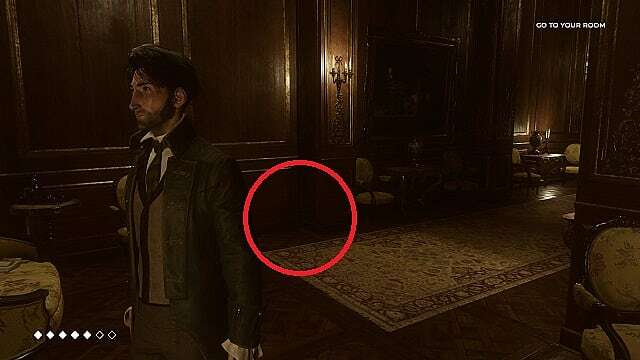 You can pick this coin up when you first enter the mansion by immediately turning to the right. Once you go back downstairs and re-enter the main hall, look along the wall with the main door. 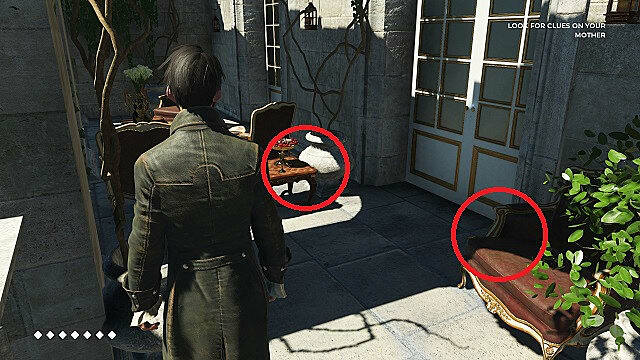 In the back left-hand corner, you'll see a table with a set of chairs. 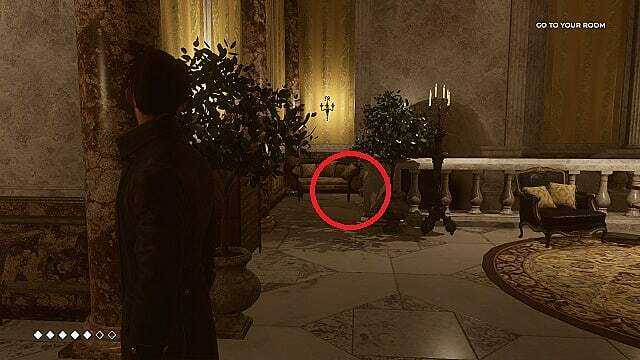 You'll find the next coin on the ground behind the highlighted chair. This coin is easy to find. Just face the fireplace in the main hall. 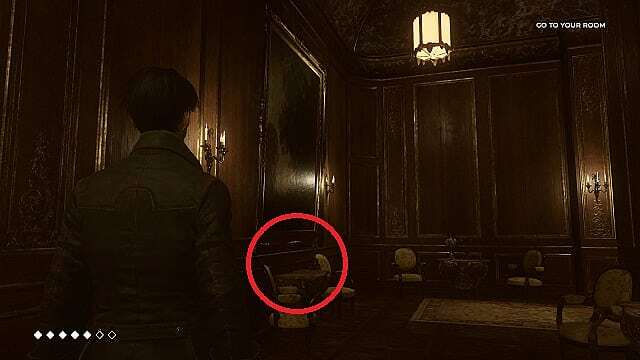 Look at the ground to the left -- just next to the chair -- and you'll find this collectible. When you wake up in your room at the beginning of Episode One's third chapter, go straight across the room and out the french doors in front of you. Turn right. Ahead you'll see at the far end a table pushed against the backs of two chairs. 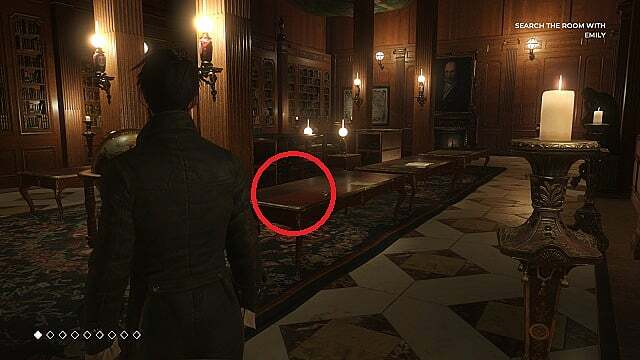 On the table, you'll find Coin 14, and on the chair across from it, you'll find Coin 15. After entering Napoleon's room, this coin will be on the floor along the right-hand wall -- just behind the table and chairs. For this coin, go into Napoleon's bedroom. 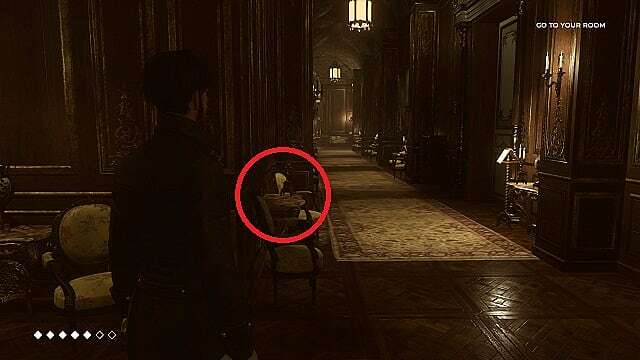 Just as you enter the doors, stop and look at the desk in the corner behind you. This collectible will be on top of the desk between the box and the candelabra. 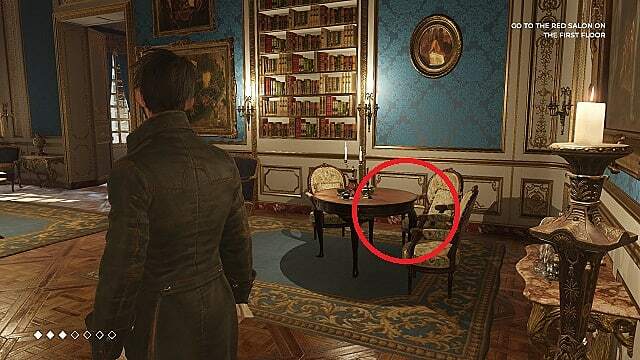 In Elizabeth's room, you'll find Coin 18 in front of the copper bathtub in a pile of books. 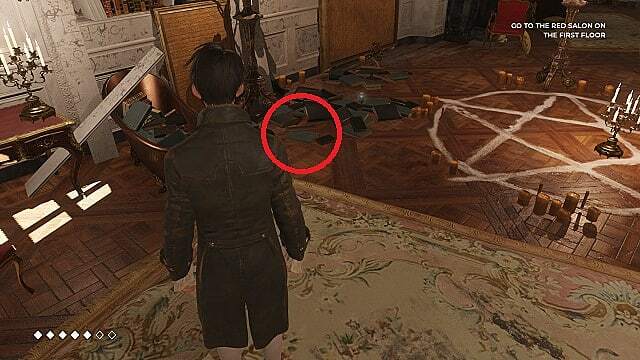 It's just to the left of the totally inconspicuous pentagram drawn on the floor. 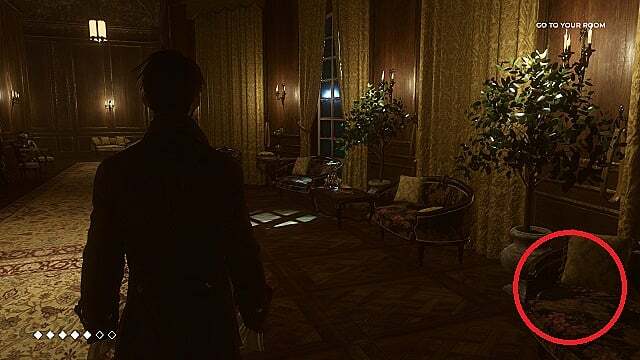 After the long cutscene around the table in the Red Salon at the beginning of chapter four, you'll regain control of Louis near the precarious precipice that has no business being part of Lord Mortimer's mansion. Before moving, look at the column to your right. Coin 19 will be on the ground in front of it. From the last collectible, continue right and enter the short hallway at the back of the room. For reference, Piaggi will be at your back as shown above. 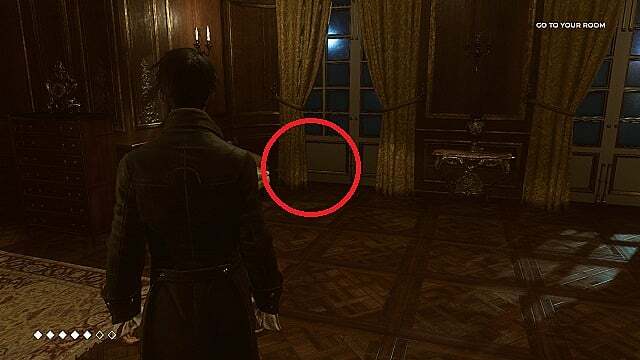 Just inside the doors, you'll find Coin 19 on the floor behind the curtain. From Coin 20, go straight ahead and through the doors at the end of the short hall. You'll come into a large library. Make your way around the gangway until you come to the stack of books along the right side. 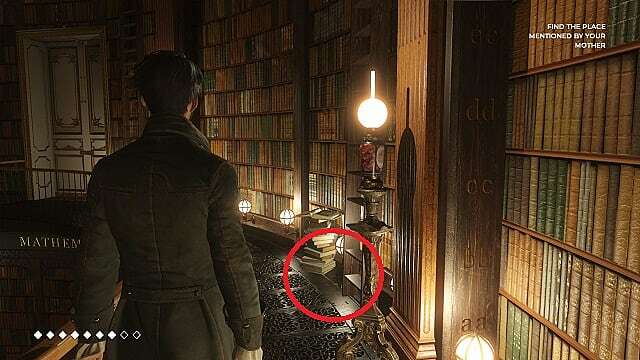 Between the books and the ladder there, you'll find this collectible. Once you enter the portrait gallery, move forward until you come to the fireplace on the right-hand side of the room. 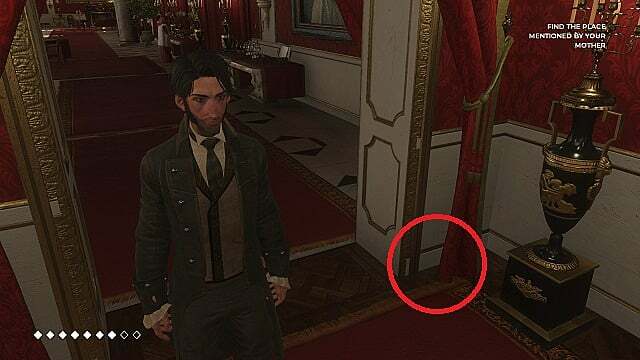 This coin is on the floor behind the green curtain on the left. 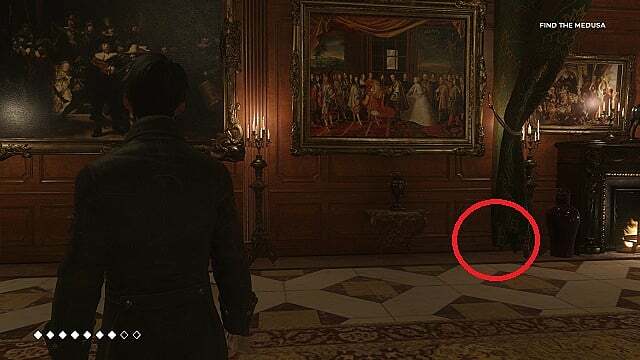 After you've solved the puzzle with the Medusa and found the secret room, go down the left side of the room until you reach the last display case (the one with the flintlock pistol in it). Coin 23 will be on top of the case. And that's it! 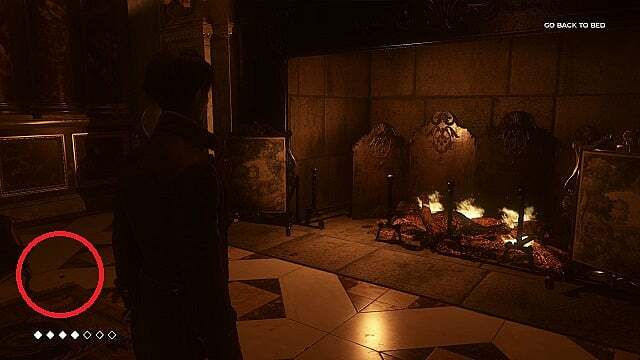 If we missed any coins in The Council's first episode, please let us know in the comments below and we'll add them to this guide! 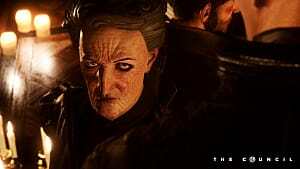 Stay tuned to GameSkinny for more guides and tips for The Council as more episodes release.